Well hello! Yes I am still here, just spending more time outside than updating this blog. I'll start things off again by talking about what I've been reading recently. Right now I'm in the middle of a book of essays by one of my favorite writers, David Quammen. 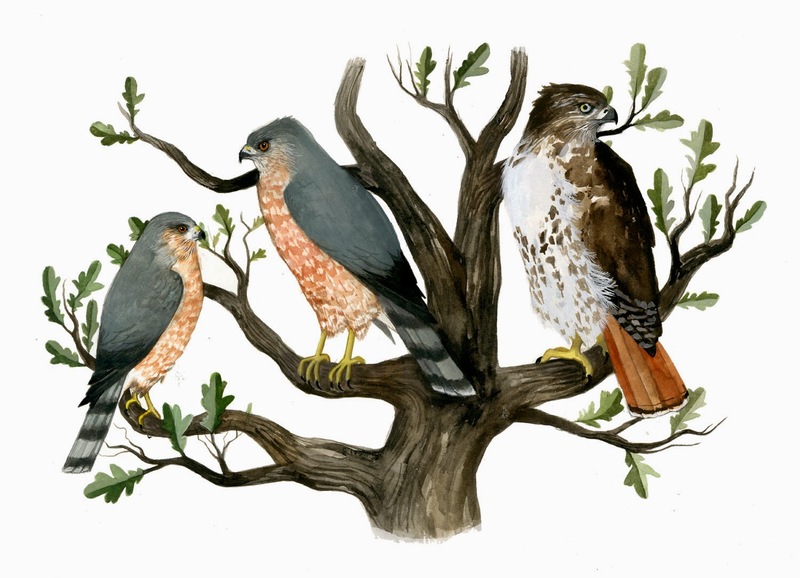 The collection, "Natural Acts" , (paperback edition has a section of an amazing Walton Ford painting) gathers up some his early columns (beginning in 1980) he wrote for Outside magazine, as well as some of his longer pieces for Esquire and Audubon, and more current work. 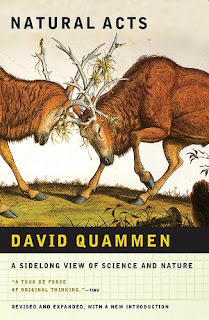 Quammen is the first to admit that he is a layman in the realm of biology and natural history, but he has now spent decades around experts and in dusty libraries doing countless hours of research on subjects such as vampire moths, Montana grayling, Darwin, and island biogeography. Despite all of the towering knowledge and experience, his writing still conveys a friendly arm about your shoulders as if to say "Yes, yes, I am not E.O. Wilson, and nor are you, but we can try to understand this stuff in our own way can't we? ", all the while being funny, clever, and never dumbing anything down. One of my favorite essays in "Natural Acts" so far is "Has Success Spoiled the Crow?" in which he ponders if a lot of crow antics can be attributed to boredom.